The Professional Hypnosis Training Course for Spring 2019 will be taught on April 12-13th, 26-27th, May 10-11th, 24-25th in Orem, Utah. The cost is $1997 with $100 discount when enrolled by March 15th. Enroll with a friend for a $500 discount! Call today 435-720-1678 or mail $250 (non-refundable) deposit to: Brigham Hypnosis Center, 245 West 170 North, Orem, UT 84057. Call today as classes fill up fast. 435-720-1678. Easy payment plan is available: Pay $500, then spread the rest over the next 10 months. Small fee for this service ($10 per month). We also accept credit card payments (add 3% surcharge). Wait no longer! Now is the time! Martha Wilks Harrison is a certified instructor for the National Guild of Hypnotists and will mesmerize you with her southern charm and knowledge of hypnosis and its many uses for yourself as well as for clients or others you care about. She has had a private practice for 32 years and will share with you everything she has learned and all you need to know to set up your own business. This hypnosis training course will teach you how to hypnotize, what to do in each of the 4-6 sessions your client will attend, how to construct a powerful post hypnotic suggestion, and how to set up and market your business. Hypnotherapy was accepted by the American Medical Association in 1958 as an effective way to modify behavior. Hypnotherapy can aid in smoking cessation, weight loss, compulsive behaviors, and other behavior modification. A hypnotherapist works with ordinary people with ordinary problems. DO YOU WANT TO HELP OTHERS? DOES YOUR LIFE LACK PURPOSE? Are you interested in creating a recession-proof career in which you can help people at the same time? 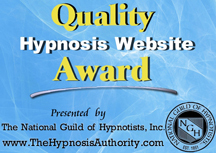 Join us and become a Certified Hypnotherapist by the National Guild of Hypnotists. You may earn $95-135 per session! Brigham Hypnosis Center was founded in 1987 by Martha Wilks Harrison, a licensed registered nurse who was initially certified as a clinical hypnotherapist by the American Council of Hypnotists Examiners. She was the keynote speaker in the 1993 International Conference speaking on Sexual Addiction. The tapes of her speech were the #1 in sales at the conference. She later affiliated with the National Guild of Hypnotists where she is currently a Board Certified Hypnotherapist and Instructor. She has used hypnosis as a tool to assist clients to take control of their lives in the areas of smoking, weight, peak athletic performance, compulsive sexual behaviors, and many other areas. Scientifically verified, hypnosis is an effective way to create desired changes in behavior and encourage mental and physical well-being. Hypnotherapy can help you to lose weight, quit smoking and overcome other compulsive behaviors. It can also help you to improve your game (bowling, golf, basketball, etc. ), to have better concentration, reduce stress, sleep better and be free of physical pain. How Well Does Hypnosis Work? Well enough that the American Medical Association endorsed it as an effective way to modify behavior in 1958. 1955 – The British Medical Association became the first professional organization to endorse the medical use of hypnosis. 1958 – The American Medical Association officially approves hypnosis as a therapeutic procedure.